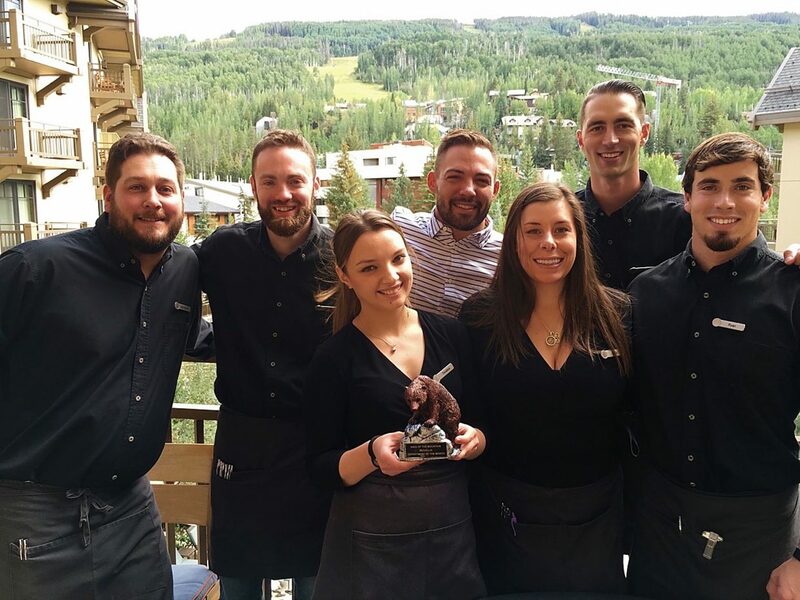 The Remedy Bar Team at Four Seasons Resort Vail celebrate winning the coveted King of the Mountain bear trophy for the department of the month with the highest guest score. Bar Manager David Richardson, at center, was excited for his team and The Remedy Bar. “For the month of August, The Remedy won the highest guest score throughout the hotel, and it is hard to beat the spa. Whenever we get to go down and take the bear from the spa, we are celebrating. You set a high target and this is our way of paying attention to taking care of the guest. It is nice when you get to celebrate."